The American Heart Association released Heart and Stroke Infographics to help spread the word about heart disease and stroke. These infographics visually represent information that can help educate the public on the prevention and treatment of heart related conditions. 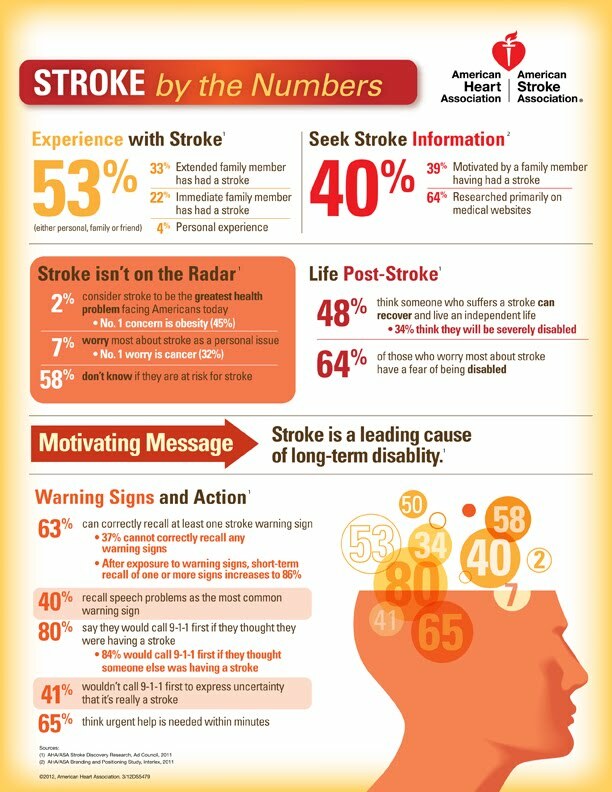 The Stroke By The Numbers Infographic focuses on the stroke statistics in the United States as well as the reaction statistics of people at risk or experiencing a stroke attack. Stroke by the Numbers emphasizes the importance of being aware of the disease as well as identifying risk factors involved with it. This is the last of the current series of AHA infographics. Previous infographics by the AHA can be found on the Related links below.